Sripathi Panditaradhyula Balasubrahmanyam (born 4 June 1946) is a multilingual Indian playback singer, actor, music director, voice actor and a film producer. He is referred to as S. P. B. or Balu by the media. He has won the National Film Award for Best Male Playback Singer six times closely following K. J. Yesudas. He holds a record to have won the Nandi Awards twenty five times from Andhra Pradesh state government. He has sung over 40,000 songs in 15 Indian languages with a career spanning over 4 decades. Starting his career in 1966, he went on to become one of the leading playback singers of his time in India. He is the only playback singer in India to have won National Film Awards across four languages. He has also won a Filmfare Award, three Filmfare Awards South and numerous state awards from Tamil Nadu and Karnataka. He holds the record of having recorded the most number of songs for any male playback singer. He is a recipient of the civilian awards such as Padmashri (2001) and Padma Bhushan (2011) from the Government of India. S. P. Balasubramanyam was born to S. P. Sambamurthy in Konetammapeta of Madras Presidency, present day Nellore district in Andhra Pradesh in a Brahmin Family. Balasubrahmanyam’s father was a Harikatha artist who had also acted in plays. He has two brothers and five sisters. He is the elder brother of singer S.P. Sailaja. He is married to Savitri and has two children, Pallavi and S. P. B. Charan who is a playback singer and film producer as well. S. P. Balasubramanyam developed an interest towards music at an early age, studied notations and learned to play instruments such as the harmonium and flute on his own while listening to his father. His father wanted him to become an engineer, which brought him to Anantapur, where he enrolled for the Engineering course at JNTU College of Engineering Anantapur. Later he discontinued the course due to typhoid, and then joined as an Associate Member of the Institution of Engineers, Chennai. Meanwhile, he also pursued his hobby and won awards at many singing competitions. In 1964, he won the first prize in a music competition for amateur singers organised by the Madras-based Telugu Cultural Organisation, and earned his first opportunity from music director S. P. Kodandapani. Balasubrahmanyam has sung more than 50,000 songs in more than 15 different Indian languages, including Telugu, Tamil, Kannada, Hindi, Malayalam, Marathi, English, Bengali, Oriya, Punjabi, Tulu, Sanskrit, Assamese, Konkani, Badaga and Gondi. He holds the record of having sung the most number of songs for any male playback singer in the world. Before becoming a full-fledged cinema singer, Balu was the leader of a light music troupe composed of Anirutta (on the harmonium), Ilaiyaraaja (on guitar and later on harmonium), Baskar (on percussion), and Gangai Amaran (on guitar). Balasubrahmanyam made his debut as a playback singer on 15 December 1966 with Sri Sri Sri Maryada Ramanna, a Telugu film scored by his mentor, S. P. Kodandapani. He was selected as the best singer in a singing competition which was judged by S. P. Kodandapani and the legendary singer Ghantasala Balasubrahmanyam was selected as the best singer, subsequent to which Kodandapani played a major role in moulding his career. 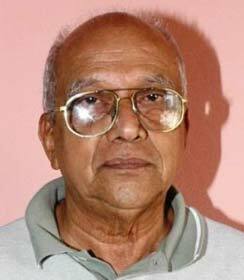 He recorded his first non-Telugu song in the Kannada movie Nakkare Ade Swarga for the song “Kanasido Nanasido” with P. Susheela in 1967. 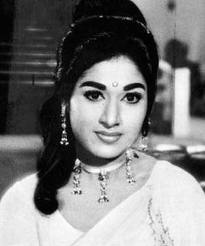 Later he entered Tamil films and recorded his first Tamil song in the 1969 film Shanthi Nilaiyam, that starred Gemini Ganesan. From then on, he became the most sought-after singer in the Telugu and Tamil film industries. His song “Aayiram Nilavae Vaa” for M.G.R in the Tamil film Aadimai Penn became very popular and he etched himself a niche for him in Tamil films. From there was no looking back for him. He was introduced to Malayalam film industry by R. K. Shekhar, father of A. R. Rahman in the film Yogamullava. Subsequently, he became popular in 1969 with the song “Ee Kadalum Marukadalum” from the film Kadalppalam in Malayalam. 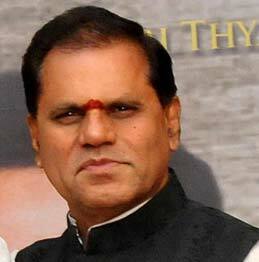 He also sung for the great N. T. Rama Rao and Akkineni Nageswara Rao for so many hits songs. He received his first National Film Award for Best Male Playback Singer in 1980 for the Telugu film Shankarabharanam, a film directed by K. Vishwanath. In 1976, he recorded up to 23 songs, including 15 duets with P. Susheela in a single day. For Kannada composer Upendra Kumar, Balasubrahmanyam recorded 16 songs in just 6 hours. Again for Ram Laxman, he recorded six songs in 4 hours in Mumbai. Between three recording theatres in Mumbai, he sang 17 songs in a day for Anand-Milind. He is the first recipient of the “Ghantasala National Award” named after the famous and legendary singer Ghantasala Venkateswara Rao, and whom Balasubrahmanyam admires a lot. He has often referred to himself as “Ekalavya Sishya” (untutored disciple) of Ghantasala. In the 1990s he worked with composers like Vidyasagar, M. M. Keeravani, S. A. Rajkumar but his association with A. R. Rahman turned out be a major success. The song “Umandu Ghumandu” from the Kannada film Ganayogi Panchakshari Gavayi (1995) was based on Hindustani classical music, for which he received his 4th National Film Award for Best Male Playback Singer. 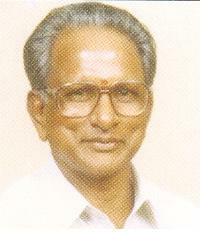 M. S. Viswanathan used S.P.B’s voice in the 1970s various Tamil movies. Under his composition S.P.B got opportunities to sing for senior actors like M. G. Ramachandran, Sivaji Ganesan and Gemini Ganesan during this period. SPB recorder numerous duet numbers with P. Susheela, Vani Jayaram and L. R. Eswari. 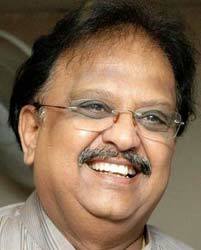 Balasubrahmanyam recorded many songs with K. V. Mahadevan throughout the 1970s, mostly in Telugu. 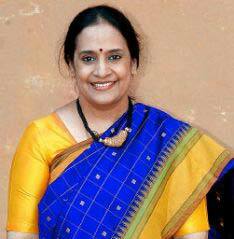 The duo worked in a film called Shankarabharanam in 1979 which was based on carnatic music. He got his first National Film Award through this film. Balasubrahmanyam’s association with Ilaiyaraaja began in the late 1970s when the latter made his cinematic debut. Balasubrahmanyam began to record more songs in Tamil especially for Ilaiyaraaja. The Ilaiyaraaja-S.P.B-S. Janaki trio was considered to be highly successful in the Tamil film industry from the late 1970s and throughout the 1980s. The trio went on to work in Telugu films based on classical music like Saagara Sangamam (1983), for which both Ilaiayaraaja and S.P.B won National Film Awards, Swathi Muthyam (1986) and Rudraveena (1988) which again fetched National Awards for Ilaiyaraaja and S.P.B. Balasubramanyam’s association with Hamsalekha began after the latter’s successful venture premalokha in Kannada. Balasubramanyam sung most number of songs for Hamsalekha in Kannada. 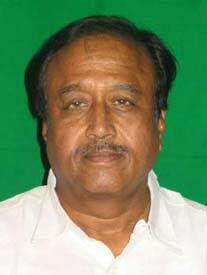 He also got National Award for the song ‘Umandu Gumundu’ of the movie Ganayogi Pachakshari Gavayi composed by Hamsalekha. Balasubrahmanyam recorded two songs for A. R. Rahman in his debut film Roja. He had a long time association with Rahman right from Roja, the latter’s debut film. Other popular songs include “July Maadham” from Pudhiya Mugam, which also marked the debut of singer Anupama, “Mannoothu Manthayilae” from Kizhakku Cheemayile which was a folk number and he almost sang all songs in the musical love story Duet and “Thanga Thaamarai” from Minsara Kanavu which fetched his sixth and latest of his National Film Award for Best Male Playback Singer till date. 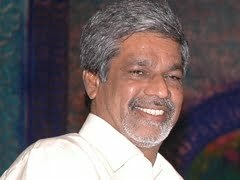 As an actor he played memorable roles in films like Pakkinti Ammayi, Parvathaalu Paanakalu, Pelli Varahandi, Kalyanathasava, Malle Pandiri, Raja Hamsa, Minsara Kanavu, Manathil Uruthi Vendum, Thiruda Thiruda, Keladi Kanmani, Sigaram, Maya, Avvai Shanmugi, Ratchagan, Nandhini, Kadhalan, Prema Maha Yedabidargi, Maya Bazaar. He has performed character roles in more than 45 films including Tamil, Telugu, and Kannada. He received Nandi Award for Best Supporting Actor for the Telugu movie Pavithra Bandham (1996) from the Government of Andhra Pradesh. He has composed music for around 40 films and gave memorable albums like Seethamma Pelli, Bharyamani, Sandarbha, Bangaru Chilaka, Mayuri, Ramanna Shyamanna, Ksherasaagara, Devaralle Dane, Belliyappa Bangarappa beside few films like Muddina Maava, Sigaram, Unnai Charanadaithaen in Tamil and Kannada. He also owns a production company called Kodandapani Film Circuits (now Captain cine creations) and produces film under this banner. Films like Subha Sankalpam, Bhamane Satya Bhamane were produced by him. He started of with a Tamil serial with actress Lakshmi called En Jannal Vandha directed by K. Balachander. Now he hosts many music shows in Telugu television including Paadutha Theeyaga on E-TV, Paadalani Undi on MAA TV, a Kannada show called Ede Thumbi Haaduvenu on E-TV Kannada, and the Tamil shows Ennodu Paattu Paadungal on JAYA-TV and Vaanampaadi on Kaliagnar TV. He also anchors a music show called Sunada Vinodini on TTD Channel. Balasubrahmanyam accidentally became a dubbing artist with Kamal Hassan’s Movie Manmadha Leela ( dubbed version of Manmadha Leelai ). He has also provided voice-overs for various artists, including Kamal Haasan, Rajinikanth, Salman Khan, K. Bhagyaraj, Mohan, Anil Kapoor, Girish Karnad, Gemini Ganesan, Arjun Sarja, Nagesh, Karthik and Raghuvaran in various languages. He was assigned as the default dubbing artist for Kamal Hassan in Telugu dubbed versions of Tamil films and vice versa. For the Telugu version of Dasavathaaram he gave voice to 7 characters (including the female character) out of 10 characters played by Kamal Hassan. He was awarded Best Dubbing Artist for the films Annamayya and Sri Sai Mahima. He is the Chairman of Kodandapani Audio Labs, Chennai. He also owns a charitable trust named S. P. Sambamurthy Foundation, named after his father, an organization to help the poor and needy. “Lifetime Achievement Award” – 2011 presented by Lux Sandal CineMAA Awards on June 19, 2011 in Hyderabad. “Isai Thendral” – Title conferred to S P Balasubrahmanyam by Botswana Tamil Cultural Association – Executive Committee (2011-2012) on April 14, 2012 in recognition towards his continuous dedication,contribution and commitment to the Indian Music and Film Industry. The Hyderabad Times Film Awards 2011- Best Singer male for Jagadanandakaraka – Sri Ramarajyam.